Alabama public school students who participated in the state’s publicly funded First Class Pre-K program performed better on academic assessments than those who did not, and the improved performance persists as students progress through the early grades and into middle school. That is according to newly released findings from the First Class Pre-K Research Evaluation Team. The team, which includes faculty and staff from the UAB School of Public Health, UAB School of Education, and the Public Affairs Research Council of Alabama – provides ongoing, rigorous assessment of the program’s effectiveness. This research collaboration has been ongoing for the past five years and is funded by the Alabama Department of Early Childhood Education. 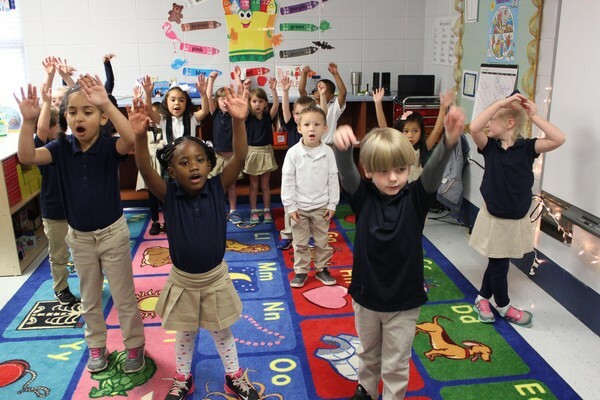 The First Class Pre-K classrooms in Alabama are funded through a competitive grant process in which sites must meet specific quality assurances and abide by rigorous operating guidelines. Alabama’s First Class Pre-K program has been awarded the highest quality rating by the National Institute for Early Education Research (NIEER) for the past 12 years. The new research supports previous findings. In 2012, PARCA provided a comparison between students who had received First Class Pre-K and those who did not for the Alabama Department of Children’s Affairs, now the Alabama Department of Early Childhood Education. That snapshot of results depended on the results of the 2012 Alabama Reading and Math Test (ARMT) for students in grades three through six. In general, those comparisons showed that students who received First Class Pre-K performed better than those who did not and that the gap between poverty and nonpoverty students closed, even for students in the 6th grade. Encouraged by that snapshot, a more rigorous research design was implemented to examine multiple cohorts of students over time. UAB researchers provided the statistical analysis that found that the initial cross-sectional observation based on the 2012 snapshot was not a fluke. 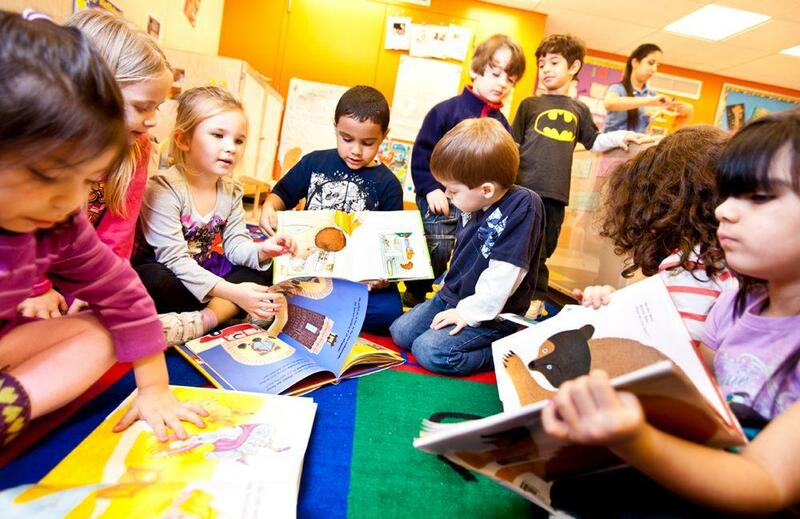 “Observed differences in performance of First Class Pre-K students did not change over time and…the positive benefits persist as children age and progress to later grades,” the report states. More research on Alabama’s First Class Pre-K will be coming soon. Alabama’s state and local governments collect less per capita in taxes than state and local governments in any other state in the union, according to new data from the U.S. Census Bureau. Annually, the U.S. Census Bureau surveys state and local governments across the country about their revenues and expenditures. This survey makes it possible to compare the finances of state and local government across the 50 states. 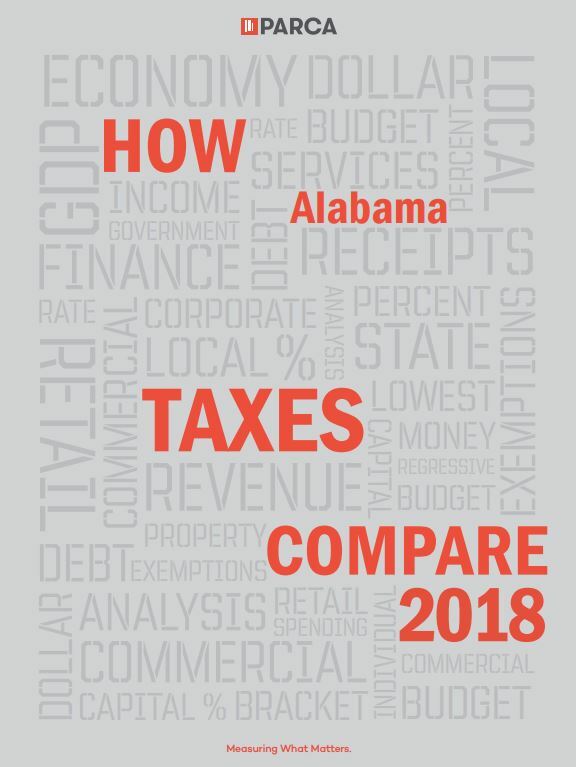 In PARCA’s analysis of the data, How Alabama Taxes Compare, state and local revenues are considered together, because states vary greatly in how they divide up the responsibilities between state and local governments for financing the operation of services like schools, roads, courts, health care, and public safety. In the end, the combined revenue from state and local taxes is used to provide government services. The data for 2016 is the most recent year available. An interactive version of the data is also available through PARCA’s data dashboard. The most glaring difference between Alabama and other states is our low reliance on property taxes. Alabama ranks 50th in the U.S. in state and local property tax collections per capita. State and local governments would have an additional $2 billion to spend providing services. Alabama’s overall tax revenue per capita would rank in the middle of Southeastern states, roughly equaling Mississippi’s tax revenue per capita and putting Alabama above Florida, South Carolina and Tennessee in per capita collections. Alabama would still trail Arkansas, North Carolina, Louisiana, Kentucky, and Georgia. As it stands, Alabama’s traditional preference for low property taxes leaves state and local governments more reliant on other taxes for revenue. Alabama has among the highest sales tax rates in the U.S. Alabama also has some of the highest taxes per capita on alcohol and public utilities. Despite those higher rates, Alabama doesn’t make up the difference created by its low property tax collections. Alabama is one of three states that continue to apply sales tax fully to food purchased for home consumption without providing any offsetting relief for low- and moderate-income families. Alabama’s sales tax is not as broad as other states and doesn’t apply to most services. Consequently, despite high rates, Alabama’s sales tax isn’t as productive as some other states. Alabama threshold for taxing income is the lowest in the nation. Most states set a higher income threshold than Alabama in order to allow poor households to keep more of the money they earn. Alabama is one of three states that allows taxpayers to deduct from state income the full amount they pay in federal income taxes. Since federal income tax rates are higher the more you earn, the higher your earnings the larger the deduction for state tax purposes. As a bottom line, Alabama governments operate with less revenue on a per capita basis than governments in all the other states. This is not a new finding. This has been true since the early the 1990s. And it underlies the difficulties we face when trying to provide to our citizens the level of government services enjoyed by citizens in other states. To read the full report, How Alabama Taxes Compare, click here. K-12 public education is the highest concern for voters in Alabama. Seventy percent said they were very concerned, and this issue cuts across all political parties as a major concern. Eighty percent of Democrats indicate they are very concerned, followed by 60% of Republicans and 66% of independents. The key concerns cited by voters included funding, teacher preparation, class size, and low student achievement. 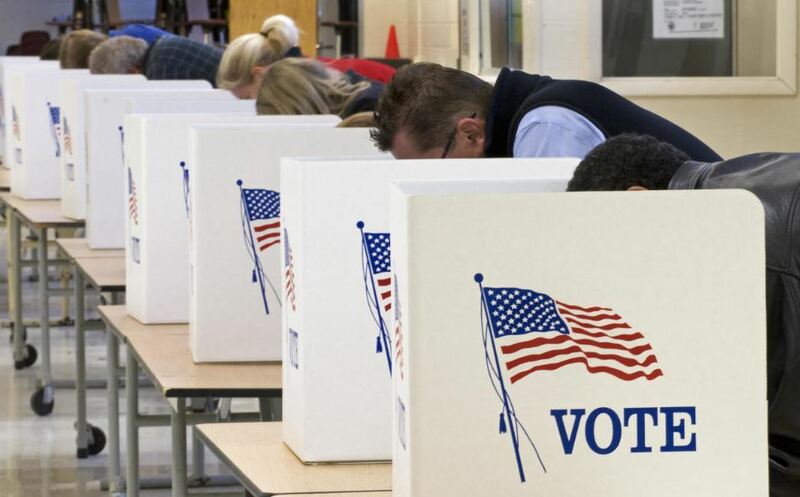 Forty-four percent of voters said that funding was their top priority related to education. Alabama ranks 39th among the 50 states when it comes to per-pupil spending on K-12 education. According to data from the Alabama Department of Education, there is a wide disparity between spending in Alabama school systems, ranging from over $12,000 per student in Mountain Brook to $7,615 per pupil in Autauga County. In 2015 Augenblick, Palaich, and Associates (APA) was commissioned by the Alabama Department of Education to study the adequacy and equity of school funding in the state. To determine adequacy, APA looked to see what successful districts in Alabama spend per student. They also formed fifteen panels of school representatives from across the state tasked with estimating the resources needed to educate any student in Alabama and meet state standards. Chart 1 shows that the expenditures of state and local funds per student across the state in 2013 was considerably less than the estimated expenditure per student needed to provide an adequate good education, as estimated by the two approaches used by the APA study. These actual and estimated expenditures of state and local funds per pupil are from 2012-13. Actual expenditures per pupil in 2015-2016 were $7,900 per pupil, still below what is recommended. In addition to concerns about adequate funding, there is concern about the equity in the distribution of state school funds. Alabama’s funding formula essentially treats all general education students the same, regardless of whether they need extra assistance, which costs money. Differences in local property wealth enable wealthier districts to spend more on education and potentially create unequal opportunities to learn. A number of analytical studies have shown that Alabama’s school finance system has not met accepted equity standards. Surveyed voters expressed concern over teacher preparation, with 24% indicating it is their greatest concern related to education. PARCA has documented the importance of teaching quality in developing student success. Effective teachers can produce gains of 1.5 grade levels, compared to gains of only a half grade among teachers at the bottom of the pool. In September 2018, the Alabama State Department of Education issued report cards for the state’s teacher training programs, the Overall, new teachers scored on knowledge of teaching methods, but teacher candidates at a number of colleges fared poorly on mastery of the subject matter they planned to teach. In some cases, only 25% passed these subject matter exams on their first try, though most did pass by their third attempt. Also included were results from a survey of school principals assessing the degree to which first-year teachers in their schools showed promise as effective teachers. The pie chart below shows that the majority (59%) entered the profession as effective teachers, with 41% still emerging and needing support, and a small percent needing more corrective remediation. These are mostly encouraging results as research shows that new teachers learn and grow and become better with experience. Still, state policies surrounding teacher certification vary, and there is debate on what aspects of teacher training are most important. Knowledge of teaching methods and human development continues to be highly valued, but critics in the field argue that more time needs to be spent actively learning through practice teaching in the field with a mentor observing and providing meaningful feedback. Studies are also showing a strong connection between teacher subject matter knowledge and impact on student learning. Class size was identified as a concern by voters in Alabama, and 10% said it was the issue about which they were most concerned. In Alabama, mandated class sizes are established through a teacher-pupil ratio, which provides for smaller classes in earlier grades. Established ratios in Alabama include Grades K-3: 1-18; Grades 4-6: 1-26; and Grades 7-8: 1-29. When districts have to cut their budgets, teachers are let go and class sizes rise. Support for reducing class size came from research that found small classes could have a positive influence on student achievement. 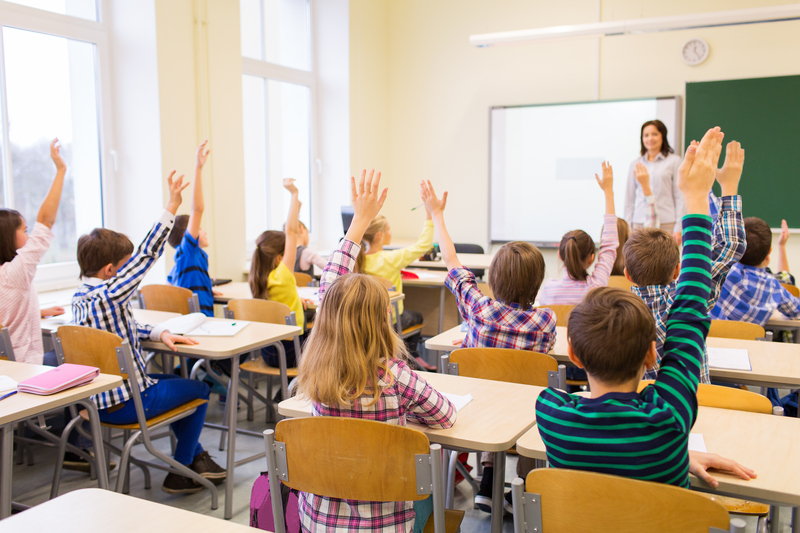 Other researchers have warned that caution is needed, finding that teachers do not necessarily change their instructional practices when class size is reduced and that some subjects may be taught equally as well in larger classes. Still, it does appear that very large class-size reductions of 7-10 fewer students per class can have significant long-term effects on student achievement. The academic effects seem to be largest when introduced in the earliest grades, for subjects focused on hands-on group activities, and for students from less advantaged family backgrounds. They may also be largest in classrooms of teachers who are less well prepared and effective in the classroom. This leads critics to point out that concentrating on developing effective teachers is the best approach since effective teachers can help students learn in both large and small classes. Education is important to a number of people because it will impact their future and the future of their children. Research shows that education has a positive impact on employment, lowers cost for crime, and improves personal health. In 2017 the median wage for college graduates was more than twice that of high school dropouts and more than one and a half times higher than that of high school graduates. The unemployment rate was three times lower than for high school drop-outs and two times lower than for high school graduates. Eeducation supports economic development and helps build communities that draw businesses and strengthens cultural institutions. Research has found that schooling signiﬁcantly reduces the probability of incarceration. According to data from the U.S. Bureau of Justice, 56% of federal inmates, 67% of inmates in state prisons, and 69% of inmates in local jails did not complete high school. Education becomes a strategy for reducing crime, personal tragedies, and the economic costs associated with crime. Finally, among many other outcomes, education is positively associated with good health. In the US, adults without a high school diploma can expect to die nine years sooner than college graduates. In today’s knowledge economy, an applicant with more education is more likely to be employed and land a job that provides health-promoting benefits such as health insurance, paid leave, and retirement. Conversely, people with less education are more likely to work in high-risk occupations with fewer benefits. Furthermore, education is positively associated with the likelihood of eating healthy foods and exercising regularly. Unfortunately, Alabama’s education system has consistently ranked among the lowest in the nation, and low among other southern states. Education Week, a highly recognized national publication, annually publishes a ranking of state educational systems using rigorous methods focused on 1) student chance for success (family income and education, enrollment in pre-K, enrollment in postsecondary education); 2) adequacy and equity of educational funding; and 3) student achievement measured by math and reading performance, high school graduation and results from AP testing. Their ranking continually places Alabama between 43rd and 45th among the states, with a grade of D- or C- overall. Where Alabama ranks best is in “chance for success” (grade of C )[i]. Ed Week gives Alabama’s education funding a D+ overall. On various spending indicators it gets an F. Alabama’s education spending is low when compared to other states and the nation. But when spending is adjusted for cost of living differences, it is comparable to other southern states, though still below national averages. For equity, it gets a B+, which raises a few eyebrows. The state share of all education funding is relatively high in Alabama and in other southern states, as well as the amount generated by Federal funds. This creates equity. It is in the capacity of local districts to raise funding through property taxes that inequities occur. Still, the relationship between per-pupil spending and district wealth in Alabama is comparable to other southern states. Ed Week’s rankings gave Alabama an F for the current status of student achievement, though the state received a D+ for improvement over time and a B for lower achievement gaps between low- and high-income students. There clearly are large differences in scores on state tests between the wealthiest and poorest districts in the state, and performance appears to be correlated with wealth. At the same time, PARCA’s report on student achievement in 2017 found both high poverty and low poverty students in Alabama scoring low when compared to national averages on the National Assessment of Education Progress (NAEP). NAEP provides standardized tests in math and reading that serve as benchmarks for comparing Alabama to other states. Chart 2 compares the percentage of students in Alabama and the US scoring proficient or above on those tests. NAEP tests are highly demanding, and students in the highest performing states generally do not score beyond 50-60% proficient or above. On a positive note, though Alabama’s results on NAEP have not substantially changed in recent years, results show significant improvement over the past 12-15 years. The Augenblick and Palaich report recommended that Alabama consider adopting a student-based funding model that recognizes differences in student needs. This model would seek to spend funds strategically to help each student reach their potential. Another related approach is to adopt a zero-based method focused on estimating costs for meeting state standards that would account for student differences. Other proposals for improvement focus on setting a long-term plan for achieving adequacy in funding and increasing local funding as a percent of total funding. One approach is for the state to provide a match for local funds with extra fund devoted in low-wealth communities. Both solutions require more funds devoted to public education. One frustration is that increasing funds for education does not always lead to better schools, teaching, and student achievement. While a fair, base amount of funds is critical, other issues get in the way, such as how districts and schools use their funds and the degree to which high performing teachers are motivated to teach in particular communities or schools. Still, studies have demonstrated that when local funds are strategically targeted at supporting students who have been flagged for needing assistance, a positive impact on learning can occur. Alabama’s report card for teacher training program indicates that new teachers would benefit from greater expertise in subjects they will be teaching. A review of varying approaches to strengthening knowledge of subjects being taught is merited. Practice in a live classroom setting is essential for new teachers. Alabama already assesses classroom performance in the credentialing process, but attention should also be paid to giving prospective teachers experience in a variety of settings including high-poverty and high-risk schools. Research has also shown value in pairing prospective teachers with experienced teacher coaches and mentors. Moreover, once teachers enter teaching, it is important that they continue to be supported by access to high-quality, standards-aligned instructional resources and curriculum-based professional learning. Decisions regarding class size reduction should be made strategically and combined with professional development. The substantial expenditures required to sustain smaller classes must not only be justified by the impact on student learning by itself but also weighed in regard to other interventions that impact learning. Research has identified conditions under which small classes and class size reduction is most effective. Rather than mandating across the board reductions or increases in size (in response to budget cuts) districts and schools might benefit from having the freedom to strategically maintain small classes where they are most needed and increasing class size where they are less likely to make a difference. Furthermore, not all teachers are prepared to take advantage of the benefits of a small classroom. Implementation of small classrooms needs to be accompanied with professional development on how best to maximize learning in a small class. In addition to the Alabama Reading Initiative, expand access to high-quality Pre-K educational support. The early years of school through the 3rd grade are critical points in brain development and in shaping a child’s educational and life experiences. Learning to read in the early grades, as promoted through the Alabama Reading Initiative – is an essential part of early development. But even before that, a stimulating and supportive environment during the preschool years provides a foundation for sustained success. Pre-school services in Alabama are offered through a diverse delivery model that includes public school systems, childcare centers, Head-start centers, university-based labs, and community organizations such as the YWCA. Strengthen the capacity of local school systems to collect, analyze and use performance data aligned with college and career readiness. Alabama has made progress in setting standards for college and career readiness that can serve as benchmarks goals for helping students learn and grow. Assessment data can be used to measure the impact of school and classroom interventions on student learning. Effective assessments that produce fine-grained data identify students who need assistance. Support can be targeted at helping these students through after-school programs, tutoring, study skills workshops, personal counseling and mentoring, and individual reading support. Currently, a number of districts lack the capacity to effectively engage data in this way and assistance through regional centers, universities, or organizations like PARCA is needed. School vouchers provide funded scholarships that allow students to attend a private school of the family’s choice, an option otherwise unavailable to low-income families. After reviewing research some analysts have surmised that vouchers are not likely to increase or reduce student learning, but that competition induced by vouchers has led to improved public schools. This needs to be studied further. The Alabama Accountability Act provides for a form of vouchers through a program which distributes scholarships to low-income students in Kindergarten through 12th grade to use in participating non-public and public schools. Through the scholarships, parents can choose school environments they perceive as being better equipped to help their children succeed as well as develop attributes and values that go beyond academic test scores. Recent research conducted by the University of Alabama Institute for Social Science Research found that students receiving scholarships performed similarly to public school students on standardized tests. The study did not compare scholarship recipients with students attending the public school they would have attended without the scholarship, but rather compared them with public school students across the state. Continuing attention should be paid to assessing the results on for students benefiting from scholarship and the impact on of the scholarship program on public schools. Developing an education system that helps all children learn is good for Alabama. Low performance and unequal opportunity to learn in public education are often described as “wicked problems” because they are highly resistant to being resolved. PARCA believes Alabama can do better. With effective Pre-K, the growing belief that all students can learn, and new economic development led by strong leaders – Alabama’s educational goals are within reach – and this gives us hope. To read the full PDF brief, including tables and charts, click here. Government corruption and ethics is the 3rd most important issue for Alabama voters. Nearly two-thirds of respondents, 65%, indicated that they were very concerned about the issue. On a scale of 1 – 5 where 1 is “not at all concerned” and 5 is “very concerned,” respondents on average rated corruption and ethics 4.24. By comparison, only 47% of voters indicated they were very concerned about the issue of tax reform and only 56% were concerned with jobs and the economy. Majorities of nearly every demographic or political group are concerned, but there are some differences among partisan identifiers: a majority of Republicans are very concerned, while two-thirds of independents and over 80% of Democrats are very concerned. For Republicans, Government Corruption and Ethics ranks 7th in the top ten issues; for both Independent and Democrats, it ranks as 3rd. Conservatives rank it 5th; moderates, 2nd; liberal, boomers, and the Greatest/Silent generation, 3rd. For Gen Xers and for millennials, government corruption and ethics ranks 4th, behind K-12 education, healthcare, and mental health or poverty and homelessness, respectively. The issue of corruption has drawn a great deal of attention in Alabama’s media for decades as the result of several high-profile scandals involving state officials. Alabama’s most eminent historian, Wayne Flynt, recently noted that three of the last six elected governors have been removed from office due to some form of corruption. The previous Speaker of the House, several legislators, and community college administrators have been convicted on corruption charges, as have some local officials, such as those involved in the scandal surrounding the Jefferson County sewer system. The key feature of corruption is the diversion or use of public resources for private use, whether to an official or to the official’s supporters, businesses, friends, family, or others. 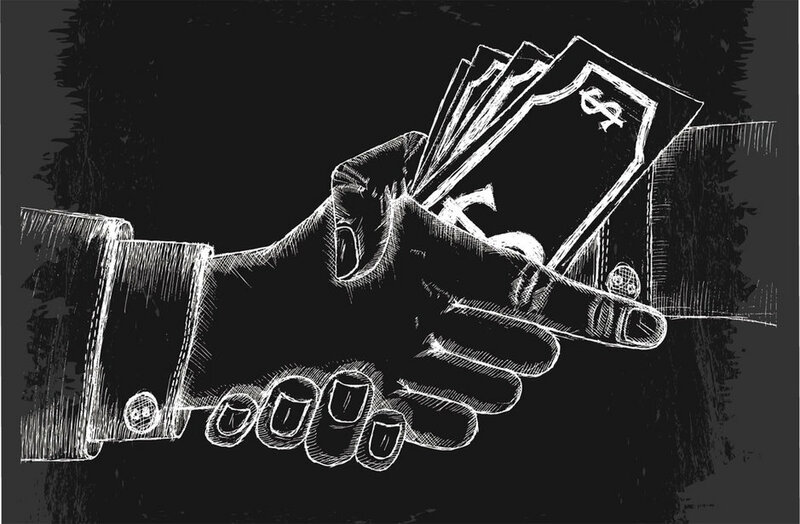 Self-dealing is a common feature, with bribery and corruption usually spoken in the same breath, while graft is also used to describe various kinds of illegal side payments. While bribery, a quid quo pro arrangement with a public official for an official act, is almost universally illegal, there are loopholes and legal blind spots that allow some behaviors to avoid legal sanctions. The economic effects could perhaps be seen in Alabama’s slower than average economic recovery after the Great Recession, which also meant that Alabama’s education revenues were among the slowest to recover as well, creating a vicious cycle of poor performance. These factors may chase off educated people and deter highly-skilled people from considering moves to Alabama. Voter concern about government corruption in Alabama is cause for concern for policymakers. People outside Alabama can be deterred from investing in Alabama, and highly-skilled people in Alabama may emigrate to other states, as many of the state’s college-educated residents tend to do. Fortunately, there is also a great wealth of research on how to minimize corruption. Most of those methods involve removing the opportunity to engage in corrupt behavior. Of course, resistance to reform is typically most intense by those who benefit from lax controls and private gains from the status quo. Some practices, typically prohibited in other states, have long skirted ethical boundaries in Alabama. Activities such as dual office holding, nepotism in employment, revolving doors between legislators and lobbyists, as well as legal but questionable practices, such as allowing sheriffs to pocket monies intended to feed inmates have drawn scrutiny. Until the passage of the 2010 ethics law, fees paid to legislators for referring people to lobbyists were not considered illegal. Instances such as these have been highlighted in Pulitzer Prize-winning news reports and commentaries by reporters for Alabama newspapers and frequently provided leading stories for Alabama radio and television stations. Alabama has also received attention from organizations that are specifically focused on government corruption. The Center for Public Integrity has produced two 50-state studies, under the banner of State Integrity Investigation: one in 2012 looking at 14 specific categories of state government and a slightly modified follow-up in 2015 looking at efforts to fight corruption. Alabama earned a C- minus in 2012 and a D+ in 2015. Although Alabama’s grade declined from a C+ to a D- between the two studies, the ranking of Alabama actually improved as so many other states also declined in their rankings. In the 2015 study, Alabama scored well in executive accountability and internal auditing but had problems with public access to information and political financing. Other areas of concern included judicial accountability, state civil service management, procurement, and lobbying disclosures. Institute for Corruption Studies (ICS), an independent research institute within the Department of Economics at the Illinois State University, produces a Corruption Convictions Index which tracks the number of public corruption convictions per 100,000 state employees. In 2015, Alabama had 4.12 convictions per 100,000 state employees, 11th highest among the 50 states. However, in 2006 it was 11.02 per 100,000, the 3rd highest total; and in 2007 11.13 per 100,000 the 2nd highest. Those high rankings came in the wake of convictions concerning the Jefferson County sewer system and the two-year college system. Again, this is a lagging indicator of corruption as cases may take years to build and the number of defendants may be quite large for some instances of corruption involving multiple people colluding. In 2018, ICS ranked Alabama as the having the most perceived corruption in the United States based on data from its fourth Corruption in America Survey done in 2017. The map below combines the aggregate scores for both types of corruption in all three branches. Alabama’s combined aggregate score was the highest in the United States. The historical absence of strong structures to monitor and prevent corruption have resulted in attempts to shore up the legal foundations for prosecuting corruption, with one such legislation passed in 2010. In 2011, the legislature also provided a guaranteed budget to the Ethics Commission. The 2010 law, together with subsequent reforms, also made it illegal for public officials and employees to accept most gifts valued at $25 or more. Subsequent to passage, the commission began a training program to ensure that officials and employees knew details of the ethics laws. Electing “better people” has almost no empirical foundation. Watching people who are elected more closely has a great deal of empirical support, especially when transparency about their activities is accompanied by vigorous enforcement and sanctioning capabilities. Eliminating opportunities for corruption by eliminating the conditions for self-dealing has been effective in stopping corruption as well. To stop corruption, there have to be independent eyes and ears in the field, with the capacity to review records and investigate reports of wrongdoing. Local news reporting has been shown to reduce the costs of local government as a result of their presence. Auditors and inspectors general almost always produce a high return on investment. One of the key functions of the Alabama Ethics Commission is to educate public officials on the ethics law. Ironically, at least one of the same legislators who passed ethics reform has been convicted of violating the new law. Would training have helped? What evidence is there that ethics training reduces the incidence of corruption? These are questions that need to be answered. Some experts are not convinced. While it is difficult to mandate good leadership, spending more money on monitoring and enforcement would probably do more to change behavior than explaining rules to officials about things that they should not be doing in the first place. One of the most efficient ways to deal with corruption is to require transparency and open data to the public. This is increasingly less costly than it has been in the past as technologies have improved and prices have dropped. Nevertheless, the way that information is packaged can make it difficult for anyone outside agency staff to access information. One obstacle to searching ethics disclosures in Alabama is that there is no way to browse the records. One must know the name of a specific individual to find any document. One tried and true way to obscure access to information is to require requestors to know highly specific information to make the request. Information systems that lock up data behind queries give the impression of releasing information but are actually obstacles to access to information. The ability to download entire databases of public records is the best practice in this regard. The Sunlight Foundation, a national, nonpartisan, nonprofit organization that advocates for open government, has published guidance on how to provide open access to government data, for better public engagement and access at https://opendatapolicyhub.sunlightfoundation.com/. Policies developed with the Civic Commons provide additional guidance on good policies: http://wiki.civiccommons.org/Open_Data_Policy/. Just as many symptoms can emerge from a single problem, often the right answer is not one thing, but many things. Unfortunately, when corruption is perceived as isolated and unique, the response is also isolated and unique. This is displayed during every legislative session as local acts are passed to address matters that are truly statewide in scope. For example, the response to Jefferson County’s sewer system debacle was addressed with a narrowly focused legal remedy specifically for Jefferson County, leaving the rest of the state unprotected from an identical scenario. The Jefferson County bankruptcy was an unnecessary opportunity for corruption on a grand scale – and one whose lessons have not been fully learned. For the full PDF summary brief, click here. 2018 Brewer Tolbert Award acceptance speech to the Alabama Appleseed Center for Law & Justice, September 20, 2018. Eugen Dimant and Guglielmo Tosato “Causes and Effects of Corruption: What has Past Decade’s Empirical Research Taught us? A Survey,” Journal of Economic Surveys, January 2017, p. 13. Alabama voters rank mental health and substance abuse as the 4th most important issue facing Alabama, with 56% of respondents indicating they were very concerned about the issue. A plurality of Millennials and majority of voters of every other generation are very concerned about the issue. These findings are in keeping with the State’s Community Health Improvement plan, which found Alabamians rank mental health as the second greatest health concern. 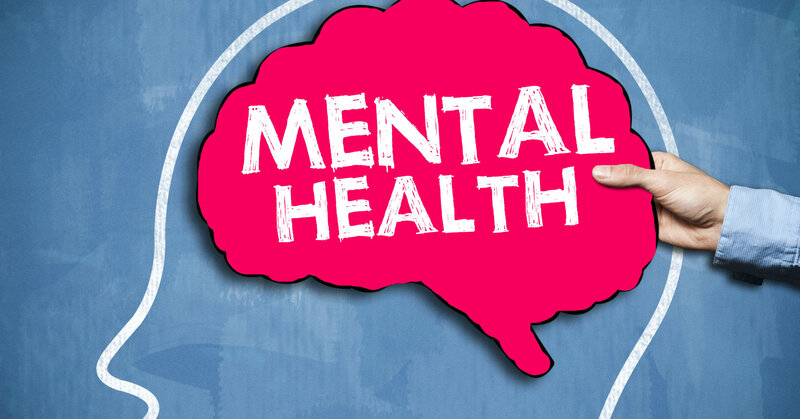 Mental illness includes a range of mental health conditions from mild anxiety, treatable with counseling, all the way to major psychiatric issues requiring psychotropic medication and long-term hospitalization. An estimated 43.6 million Americans from all backgrounds suffer from mental illness or substance abuse. If current trends continue, by 2020, there will be more people suffering from mental and substance abuse disorders than people suffering from all physical diseases worldwide. Mental illness and substance abuse disorders share some underlying causes, including changes in brain composition, genetic vulnerabilities, and early exposure to stress or trauma. Individuals that suffer from drug addiction frequently experience one or more symptoms of mental health issues. Experiencing both mental illness and substance abuse, what professionals call a dual-diagnosis, is very common. Mental illness and substance abuse can alter reasoning skills, coping mechanisms, emotions, and behavior. This can have a profound impact on the individual and family, but also on the broader society. Serious and untreated mental health concerns, including substance abuse, can place a strain on the communities by increasing unemployment, crime, and healthcare costs. Substance abuse alone has been estimated to cost $504 billion in direct and indirect costs, including lost productivity, in 2015 alone. Left untreated, mental health and substance abuse disorders can hinder an individual’s ability to live a healthy, confident life, and the ability to be productive members within the community. Untreated mental health and substance abuse issues can be significant contributing factors to job loss, homelessness, criminal behavior, and premature death. Suicide and drug-related deaths have increased in the nation in recent years with suicide ranked 11th in 2014 as the leading cause of death. 48th in overall access to care, ahead of only Texas, South Carolina, and Mississippi. In spite of all this, less than half (43.5%) of adults in Alabama living with mental illness have received any form of treatment. Alabama now faces the daunting task of combating the opioid crisis. In 2013, Alabama had the highest per capita number of opioid prescriptions in the country – 141.1 per 100 compared to the national average of 79.3 per 100 people. Since then, the rate has dropped to 120.3 per 100 in 2015 – but this number still represents 1.2 prescriptions for every man, woman, and child in Alabama. While Alabama ranks 34th in deaths from drug overdose, the number of overdose deaths continue to climb: from 169 in 1999 to 756 in 2016, a 347% increase. Lack of accessible care and lack of sufficient insurance coverage for substance users exacerbates the issue. There is a high correlation between availability of preventative mental health services and mental health treatment. Alabamians have less access to mental health services than do residents of many other states. One of the most significant factors facing mental health and addiction treatment in Alabama is simply the lack of access. Alabama has one mental health provider for every 1,180 people. Mental health providers include psychiatrists, psychologists, licensed clinical social workers, counselors, marriage and family therapists, and advanced practice nurses who specialize in mental health. However, at the county level, the ratio ranges from 270:1 (Macon County) to 33,840:1 (Chambers County). Focusing on just substance abuse, statewide, there are 505 beds for residential and high-intensity residential substance abuse treatment – and these beds are located in just 13 counties. There is a waiting list of 319 people. Individuals without insurance may wait for months to see a mental health professional. More often than not, this results in a crisis that ends with the individual in the hospital or jail. In effect, Alabama’s hospital emergency departments, jails, and prisons serve as de facto mental health providers. At the same time, while most people know how to access physical health care, people may be less familiar with when and how to access mental health care. The state could expand Mental Health First Aid, described as ‘CPR’ for mental health, and Crisis Intervention Training for law enforcement personnel. The state could also explore a waiver, which would allow Medicaid to fund treatment of substance abuse. The state could explore expanding access to substance abuse treatment, particularly residential treatment. There are currently no substance abuse facilities, public or private, in Autauga, Bullock, Coosa, Lawrence, Lowndes, Perry, Washington, or Wilcox Counties. Access is largely, but not exclusively, a function of size of the mental health workforce. Alabama faces a growing workforce shortage in many industries, including mental health services. There is a particular shortage for trained professionals serving the elderly. Unaddressed, this shortage will escalate as the senior population is growing faster than other age groups. The state could explore incentives to attract and retain mental health professionals. The state could explore licensure regulations to allow all medical professionals to practice at the highest levels of their training and certification. Mental health experts recognize that even if there were sufficient mental health providers, there is still a significant stigma attached to accessing treatment for mental health or substance abuse issues. Moreover, often when treatment is sought, the individual is already in a state of crisis, rather than seeking care earlier. The state could seek to reduce the stigma by promoting and expanding peer programs—mental health services led by, or in conjunction with a person who has experienced mental illness himself or herself. The state could develop an awareness campaign for the general public. 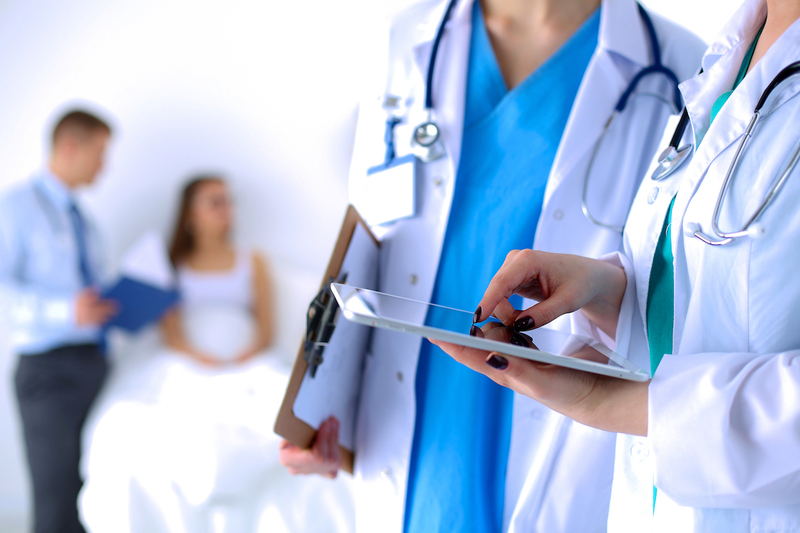 There are a number of evidence-based and standards of care treatments that could be considered for expansion or modification in Alabama. The use of medication to treat opioid addiction could be expanded. The state could require healthcare professionals who prescribe medication treatment for addiction, do so only in consultation with a trained mental health professional. The number of state-funded residential beds for substance abuse treatment could be expanded. The number of nonprofit or low-cost methadone clinics for those with heroin addictions who suffer multiple relapses could be expanded. The state could create a harm reduction program for opioid users, which includes education, counseling, referrals to treatment, and needle services and which has been shown to reduce the spread of HIV and Hepatitis C and increase the likelihood an individual will seek treatment. The state could expand mental health and substance abuse treatment in the corrections system, which could also help reduce recidivism rates. Drafted by Anita Perry, graduate student, Department of Social Work, Samford University, and the staff of the Public Affairs Research Council of Alabama. Full PDF report available here. Alabama Department of Public Health, State of Alabama Community Health Improvement Plan (2015), http://www.adph.org/accreditation/assets/CHIP_2015_RevAugust.pdf. Rosenberg, L. 2012. “Behavioral disorders: the new public health crisis.” Journal of Behavioral Health Services & Research 39(1):1-2. U.S. Department of Health and Human Services, “Mental Health and Substance Use Disorders” (2017), https://www.mentalhealth.gov/what-to-look-for/mental-health-substance-use-disorders. U.S. Department of Health and Human Services, Substance Abuse and Mental Health Services Administration, Facing Addiction in America: The Surgeon General’s Report on Opioids (2018), https://addiction.surgeongeneral.gov/sites/default/files/surgeon-generals-report.pdf. Walden, Nicole. “The Opioid Crisis in Alabama” Alabama Department of Mental Health, November 27, 2017, http://www.alabamapublichealth.gov/alphtn/assets/112717handouts.pdf. Mental Health America, “The State of Mental Health in America, 2018” (2018), http://www.mentalhealthamerica.net/issues/state-mental-health-america. U.S. Department of Health and Human Services, Substance Abuse and Mental Health Services Administration, Behavioral Health Barometer Alabama, 2015, (2015), https://www.samhsa.gov/data/sites/default/files/2015_Alabama_BHBarometer.pdf. In the following months, PARCA will produce summary briefs on each of the top ten priorities chosen by Alabama voters. Each brief will answer four critical questions: what is the issue, why it matters, how Alabama compares, and what options are available to Alabama policymakers. 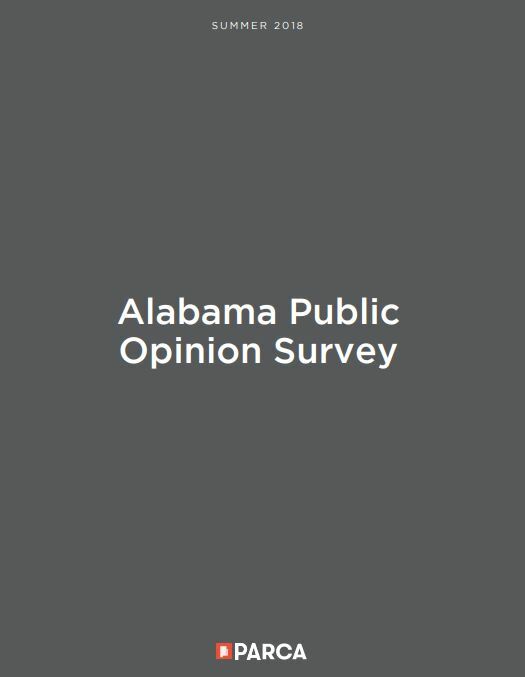 Poverty and homelessness is the 5th most important issue for Alabama voters, with 58% of voters indicating they are very concerned about the issue. Poverty and homelessness averaged 4.192 on 1–5 scale where 1 is “not at all concerned” and 5 is “very concerned.” The majority of every demographic and political group indicated they were very concerned about this issue. Why are Poverty and Homelessness Important? The standard measure of poverty is the percentage of people earning less than a specific dollar amount: the federal poverty line. The federal poverty line is adjusted for the number of people in a household and is revised annually. In 2018, the federal poverty line for a family of four is $25,100. Although the percent of the population living in poverty is in decline, over 39 million people were still in poverty in the U.S. in 2017. Poverty often creates a vicious cycle that can last generations. Poverty complicates and is complicated by almost every other challenge facing Alabama and the nation. 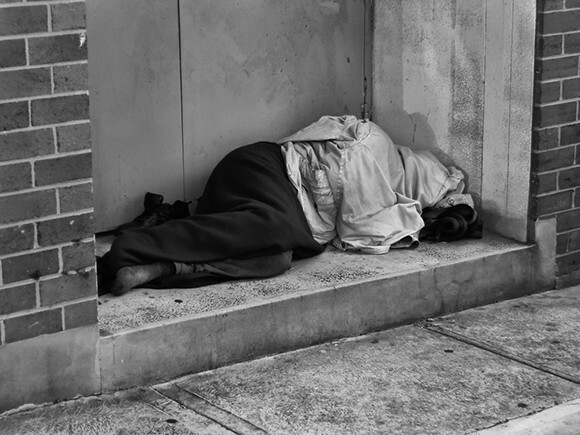 The U.S. Department of Housing and Urban Development defines homelessness, in part, as lacking a fixed, regular, and adequate nighttime residence or a primary residence that was not designed for or ordinarily used as a regular sleeping accommodation for people. On a single night in 2017, an estimated 553,742 people were homeless in the United States. Homeless experts and advocates question the appropriateness of the definition and the accuracy of the number, some suggesting the number to be almost double. have a negative economic impact on the larger community. The percent of the population in Alabama living below the federal poverty level has declined from 19% in 2010 to 16.9% in 2017, mirroring declines at the national level. However, the percent of people living below the poverty level in Alabama is still higher than that of the nation. In 2017, Alabama had the 6th highest poverty rate in the U.S. and the fourth highest poverty rate among 10 southeastern states. Poverty sees no color – while black Alabamians are disproportionately poorer, with 27% living in poverty, white Alabamians are deeply affected as well, with 12% living below the poverty line. Approximately thirty-one percent of Hispanics in Alabama live below the poverty line. Similar to poverty in the total population, the percent of children living in poverty in Alabama is consistently higher than that of the nation. During the period 2010 to 2017, childhood poverty declined for the state, reaching 24.6% in 2017. When compared to southeastern states, the percentage of children in poverty in Alabama ranked higher than all states except Louisiana at 28% and Mississippi at 26.9%. In 2017, there were an estimated 3,793 homeless people in Alabama, a decrease of 7.7% over the previous year and more than 37% since 2010. In the ten-year period between 2007 and 2017, Alabama’s homeless rate decreased at a faster rate than the national average – a 30% decrease in the state compared to a 14.4% decrease nationally. However, Alabama’s percentage change has been lower than a majority of its southeastern neighbors. Also, while homelessness in Alabama is trending in a positive direction, those still struggling with homelessness are sometimes those facing the most profound challenges, including addictions and mental health issues. There is no single solution to reducing poverty or homelessness. As the causes are varied, complex, and differ from region to region across the state, so too must the responses. Private philanthropy and the faith community can do much to assist individuals and families, but the challenge is too large to be left to the private sector alone. Alabama could consider policy responses and interventions that have demonstrated success around the country, some of which are highlighted below. Increased investment in education: in 2016, Alabama was 39th among U.S. states in per student spending. Expanded investment in workforce development for under-employed and unemployed adults. Expanded educational opportunities and supportive services for low-income adults. Expanded access to primary healthcare, especially in rural parts of Alabama. Increase family income for those in poverty through expanded employment (24% of survey respondents indicated the number of available jobs was their top economic priority) or increased wages (32% of respondents said increasing the minimum wage was their top economic priority). Implement a statewide housing first model to address homelessness. Read full PDF report here. PARCA collaborated with Samford University to conduct our annual telephone survey of Alabama citizens between June 4 and July 18, 2018. The survey was directed by Dr. Randolph Horn and was under the field direction of Grace Okoro. The survey addressed topics including the quality of representation in state government, and, in partnership with the Alabama Association of School Boards, questions about public education in Alabama, and, in partnership with the Community Foundation of Greater Birmingham, questions about payday loans. Many trends remained the same from previous years, but some of the results were surprising.